soups Archives - Page 13 of 13 - A Life From Scratch. Tuesday morning I was sunning myself in 83 degrees. Tuesday night I was dragging my luggage through the parking lot at O’hare with the wind/rain/ice hitting me at a balmy 33 degrees. Awesome. Why, again, do we live here? We seem to ask ourselves that question yearly and yet we never move. Hmmm. The past 2 days have been a bit of a system shock. Snowy weather + no food in the house + back to the saltmines = one slightly cranky Courtney. Time to get myself to a better place. 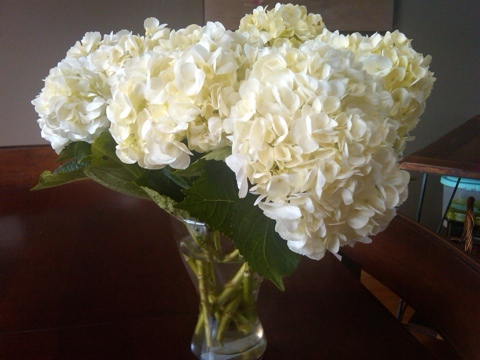 Beautiful hydrangeas on sale at Fresh Market? Yes please. 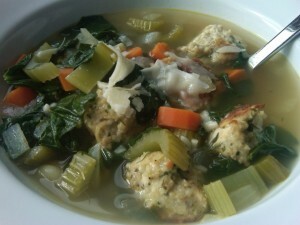 Comforting bowl of Italian Wedding Soup? On it. I’m obsessed with this recipe. It definitely falls in my ‘top 5’ soup category. I find it really fun making teeny tiny little meatballs – they are super cute. And the ‘body’ of the soup comes together very easily so it doesn’t take long before you go from chopping away to sipping comfort. Let’s hope this melts the last of the snow on the ground away….I can see tulip bulbs! Mix above ingredients together with a fork until just combined. Drop by the TBS onto a baking sheet lined with parchment paper and bake for 30 minutes. It should make about 30ish small meatballs. Heat olive oil in large soup pot over medium heat. Saute onion, carrots, and celery until tender, about 8 minutes. Pour in stock and wine and bring to a boil. Lower heat, add pasta, and cook for 7 minutes. Add in dill and meatballs and simmer for a few minutes. Add in spinach/kale and allow to cook for another minute. Add salt and pepper to taste. Ladle into bowls immediately and top with freshly grated parmesan cheese. I REFUSE to put on my winter coat again. [dropcap1 color=”rosy”]I[/dropcap1]t is extremely cold outside. The kind of cold that gets in your bones and takes hours to warm up from. The kind that makes your hands practically unusable after being outside for just a short amount of time. It’s cold. And it hurts. In my mind there is no better way to warm up then a big fire, a lot of layers, and a great bowl of soup. I could live on it in the winter. 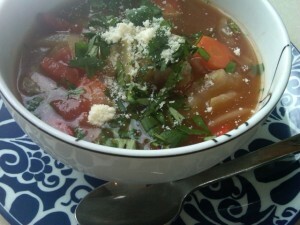 There is something about holding and eating a nice warm bowl of soup that comforts you from the inside out. 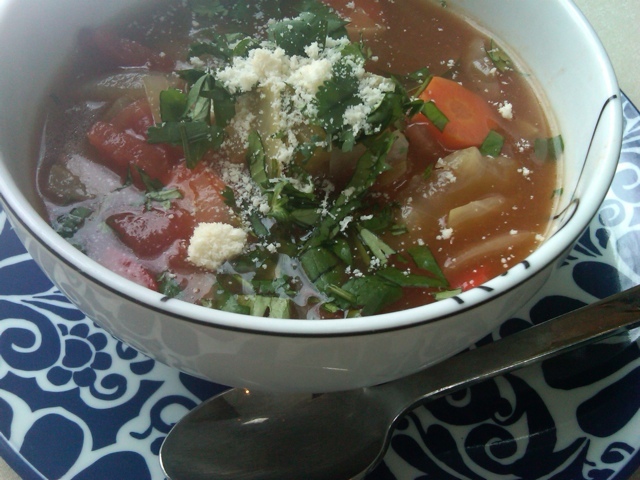 Before the chilly season is over, I plan on posting my top 5 favorite soup recipes – so, stay tuned! These are tried and true recipes that have been perfected over time by my mom and me. 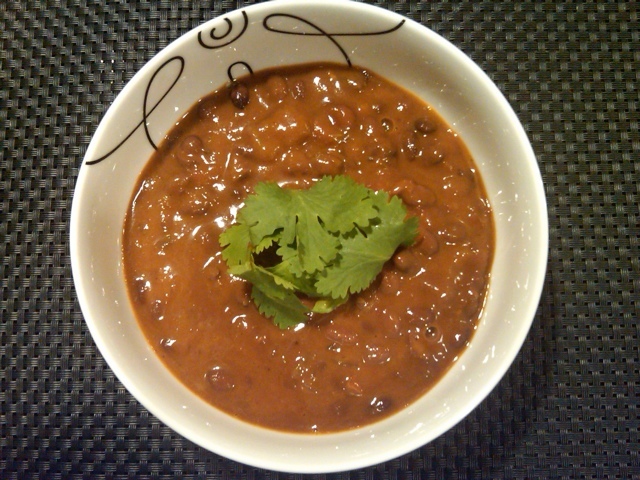 My first one to post is our black bean soup. 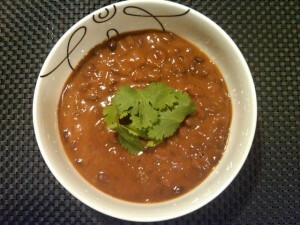 It’s hearty, healthy, extremely flavorful, and easy to make. What more could you ask for? Oh that’s right. 70 degree weather. This recipe makes a lot, so you can plan it for a dinner or two and if you don’t get sick of it, a few lunches as well. Or, be a good friend and split the pot. We all know someone that could use some homemade soup, right? Soak beans overnight, or for 3 hours or so. Place all ingredients in a large soup pot and bring to a boil. Cover and reduce to simmer. Let it cook all day. You're home will smell amazing. Remove the ham bone or hocks at the end and return any meat to the soup if you'd like. 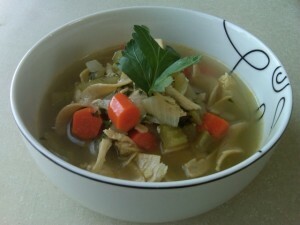 Ham bones really are best for this soup as they give the most meat, but they are hard to find. I normally use ham hocks simply for the flavor and then just remove them completely. As far as toppings go, the opportunities are endless. 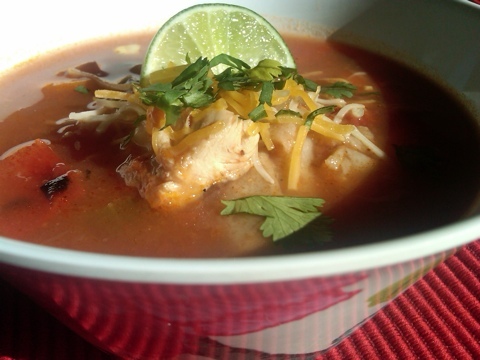 This soup has so much flavor that I prefer not to 'hide' that by going overboard with toppings and just chop up some fresh cilantro. Although loading it up with rice, cheese, tortilla strips, and a dollop of sour cream doesn't hurt either. All up to you. Ok, time for a bowl by the fire.